Because of the new international standard for Occupational health and safety, ISO 45001:2018, organisations currently certificated to OHSAS 18001 will need to transition. 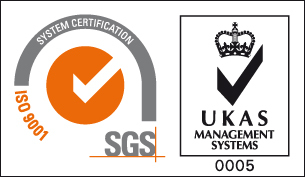 This standard was published in March 2018 now means that organisations only have until March 2021 to migrate or risk the loss of their certification. ISO 45001:2018 Migration course/ training will help you understand the new standard which is replacing OHSAS 18001. This new ISO standard provides a robust and effective set of processes for improving workplace safety. Additionally, this training session aims to guide your organisation through the migration process. This means that as a delegate, you will have the opportunity to ask our expert Consultant some questions. This 1-day training course provides a working knowledge for anyone responsible for the migration process within their organisation, across all industry sectors. Help you plan for your organisation’s migration. Those interested in developing a further understanding of ISO 45001:2018. If you are booking more than one space on the course please contact the office on 028 9042 3222 / info@quadraconsulting.com to avail of a 10% discount for second and subsequent delegates.